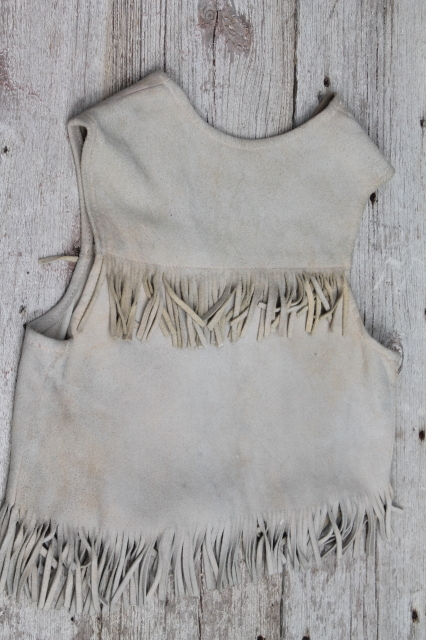 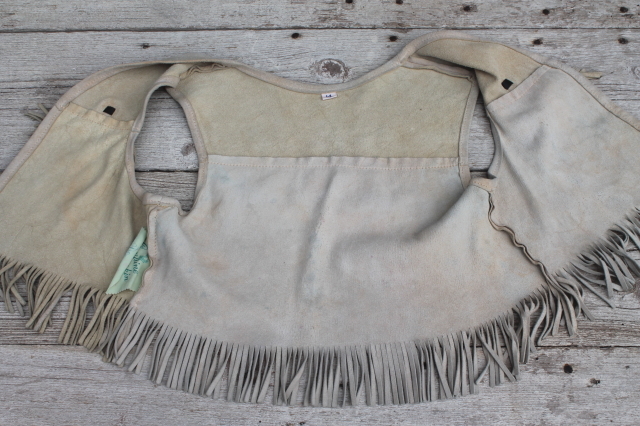 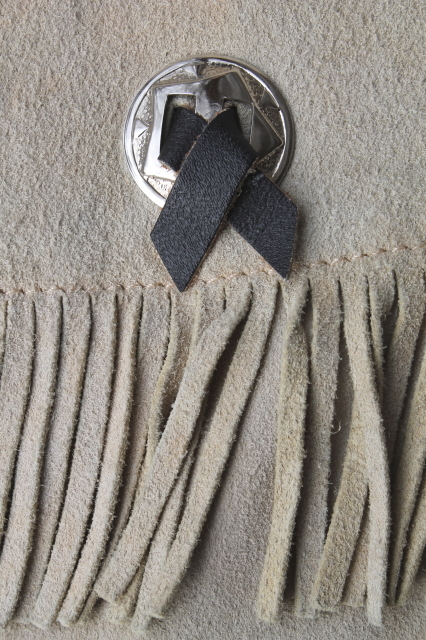 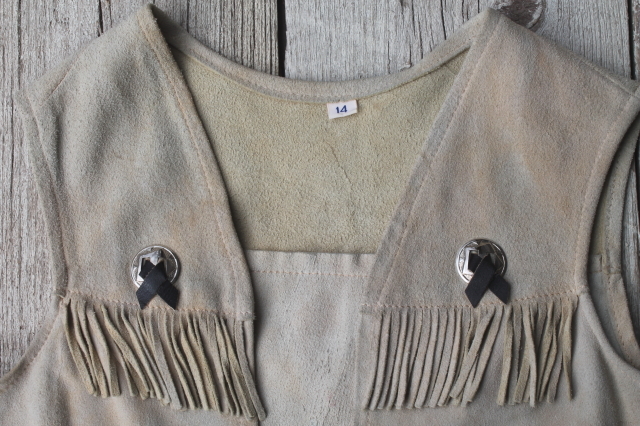 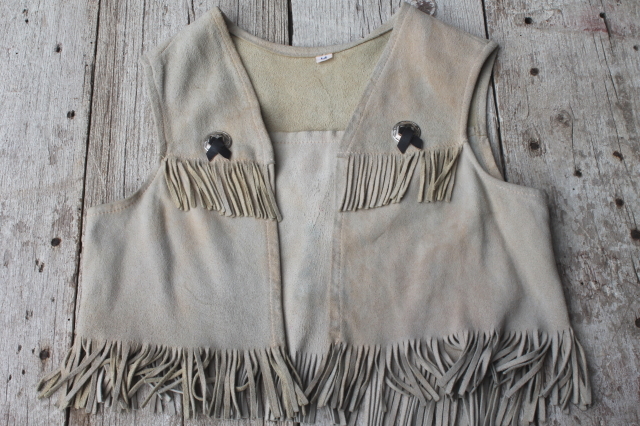 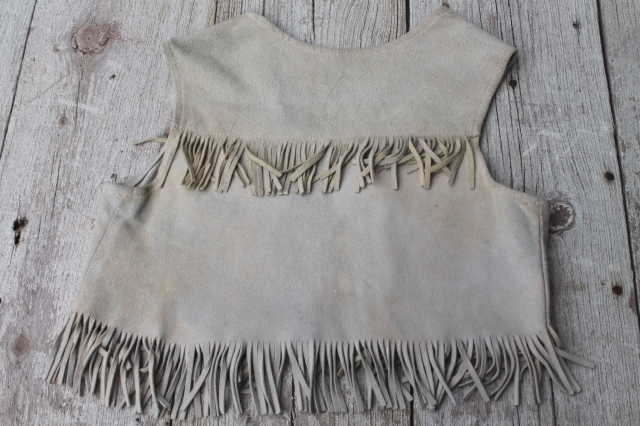 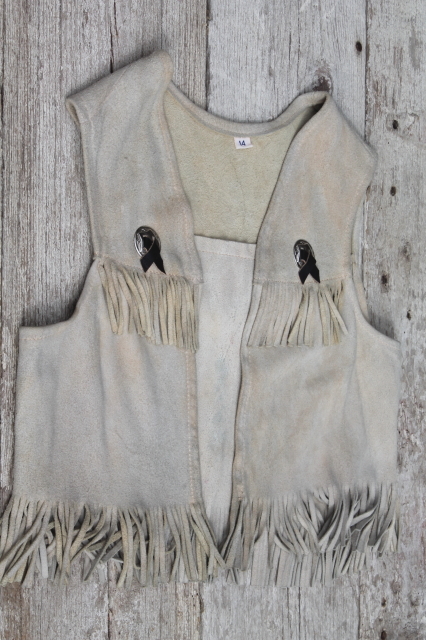 Vintage western style deerskin leather vest, buttery soft with a sueded finish. 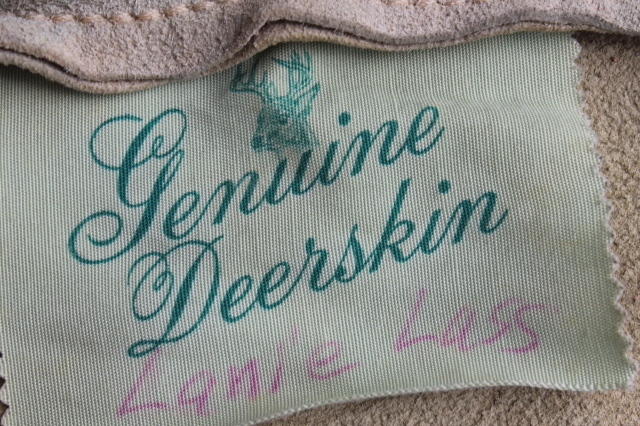 Size tag is marked a 14, actual garment measurements are 28" across the chest under the arms (with the front nearly butted together) and 14" long from the shoulder. 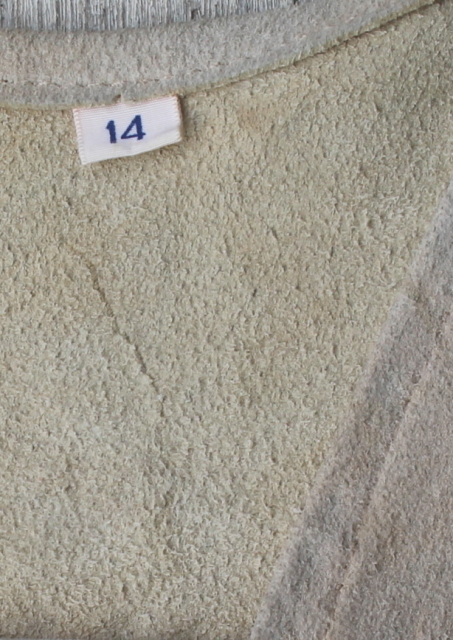 This has been worn, and shows some wear and soil marks from use and storage. 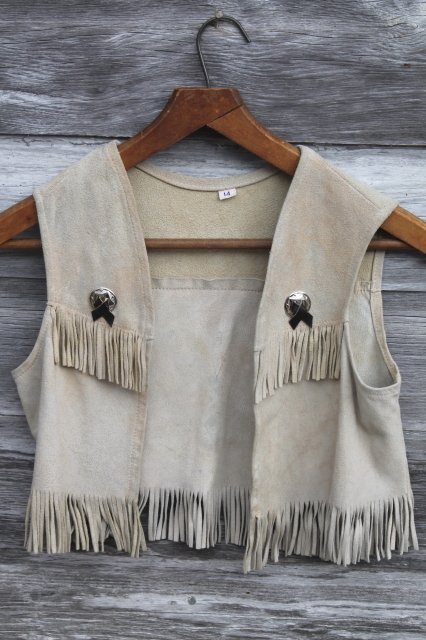 Sounds worse than it looks, this is pretty nice overall, even if not perfect.